A freestanding stone wall shelters this backyard while the handsome gate welcomes. A profusion of color from pots and plantings accent the colorful back door of this older colonial. 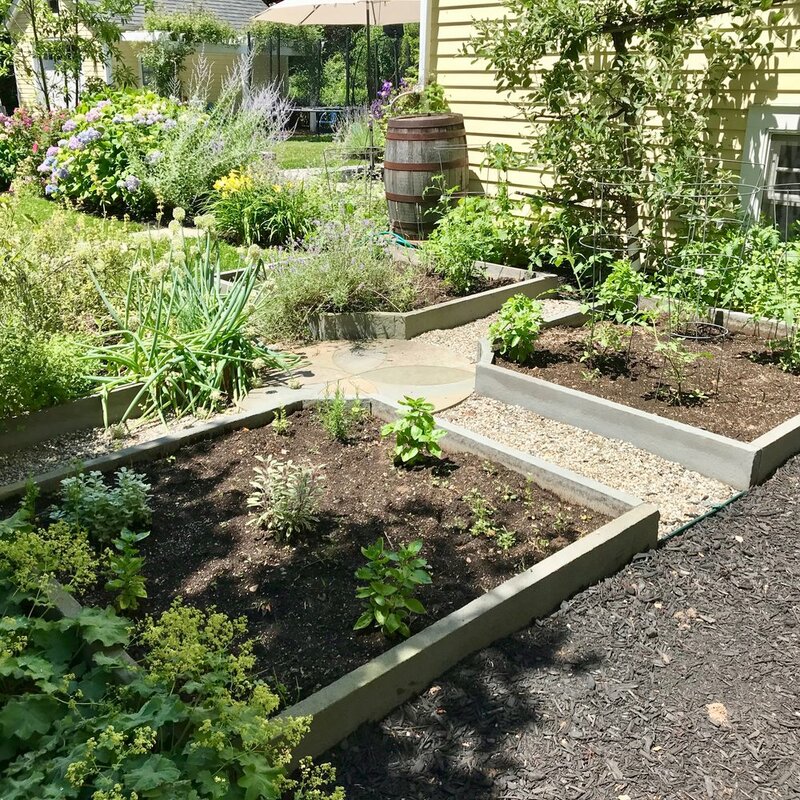 Peastone paths with bluestone details and raised beds create a kitchen garden with equal amounts of beauty and utility. Water comes from a whiskey barrel turned rain barrel. The raised fish pond with a peaceful fountain offers another place to sit.